“Did you know that people with disabilities are the fastest growing minority group in the U.S. and one you can be a member of at any time? According to the latest U.S. census, an estimated 48.9 million people, or 1 in 5 Americans have a disability. We’ve come to recognize the wheelchair in a blue box to symbolize a person with a handicap. As a result, we often think and talk about this group as the disabled population. In reality, 70% of those living with a disability are not using a wheelchair. This large group of Americans shows no outward signs of a disability affecting their lives. The Americans with Disabilities Act (ADA) became law in 1990 to improve entry into public spaces and job opportunities. While valiant in its intent, ADA focused on a very narrow set of physical disabilities—most notably, access for wheelchairs—without considering the needs of millions of others. How would you define disability? 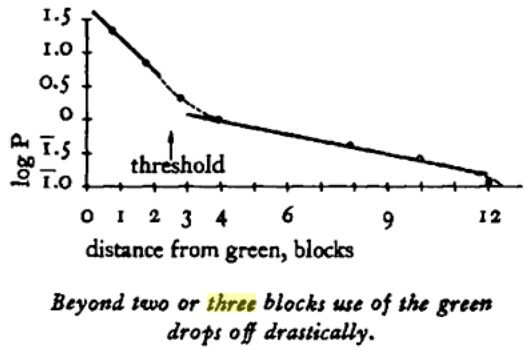 Something that limits you due to x, y or z. Everyone has a disability of some sort. No one's perfect. Everyone has a flaw of some type. In terms of ADA, we should all be treated the same, because we are all disabled. -be included in activities in the park. But when their playground opened, "we were shocked by the minimal use by kids with disabilities," she said. Instead, they won lots of awards for being a fantastic place to play, and the place was overrun by typically developing children. When they went into the community to find out why, they discovered many families with children with disabilities didn't come because they worried about ridicule if their children were the only ones there who were different. The ADA was created to insures accessibility inclusion for parks and other public spaces.Loose parks do not inherently create accessibility inclusion. NYC's Union Square Park offers a playground for little kids, , seating for older people, a dog run, food as recreation (The Pavilion) and shopping as recreation (Greenmarket) It is inclusive for people who want these features, It subtly excludes use by ping pong players, the disabled who are offered no equipment of interest(wheel chair swings, audible balls etc) ,, youth who would like to play foosball, basketball. etc, etc etc Can members of these groups still go to Union Square Park? Yes, but many do not bother as the park does not offer recreation opportunities that interested them. 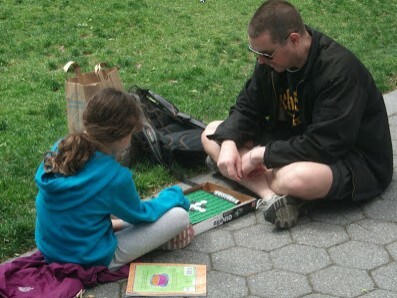 Loose Parks are meant to offer Play Libraries of equipment for all ages or abilities. Loose Parks insure special needs folks can have access to equipment, with less fear of being shunted to the sidelines on equipment usage. A thought about what happened at Miracles Playgrounds and how it relates to access inclusion The equipment at Miracles playgrounds is a limited shared resource, there aren't many of the items being offered. A busload of kids came in and all wanted to use that limited resource. No one actually has any ownership of the equipment. In the case of Miracles Playground, the disabled person using a piece of equipment was pushed aside by stronger people. , With a Play Library , first off you can have room for a lot more equipment., whoever "checks out" an item has taken "ownership" of a piece of equipment until they relinquishes the ownership of it. If someone would like to use the equipment that you posses, they will need to ask you if they can join you. . Where there is "ownership" courtesy is explicitly called for. Where there is no ownership, you can only hope for courtesy.Will every kid be courteous? 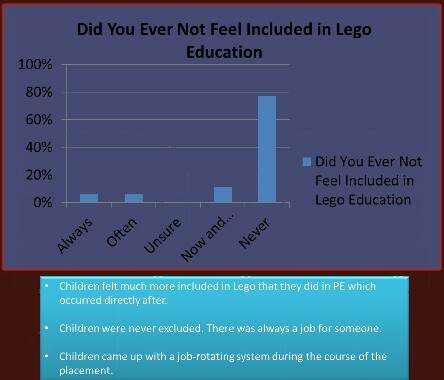 No but unlike shared equipment where a parent would have trouble point to how their child was pushed out, with loose parts by introducing "equipment ownership", if a child takes away a piece of recreation equipment that your child currently "owns" a parent can hopefully more readily take the equipment away from the offender. 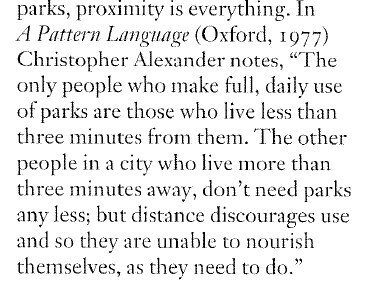 Loose Parks are more socially inclusive then fixed parks. 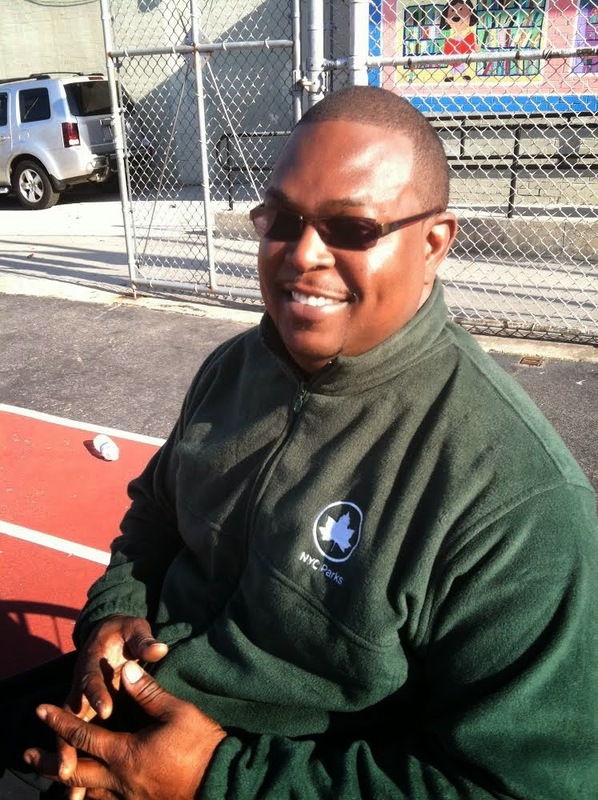 BTW I was talking to several people with disabilities about NYC's parks and the disabled. One of them let me know that in a park with inclusive play equipment, they had seen a child with disabilities be pushed aside. Simply creating a park with inclusive pl;ay equipment does not necessarily create social inclusion. As it turns out much "special needs” recreation equipment need not be special, they just need to be available . For example puppets and Lego for autism, a hula hoop for the blind , Parkinson disease, and stroke victims , Bilibo for Downs Syndrome, horse shoes for senior, reading material for people in wheelchairs, virtual reality for people of very limited movement ability. 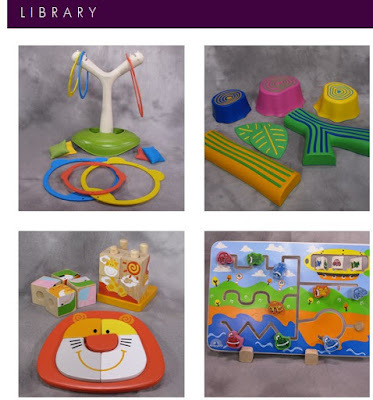 Fat Brain Toys has hundreds of regular toys that people have rated as to their use for special needs situations. Check out some of the categories above, In a fixed inclusive park, you would have at best a few items in each category. in a Play Library- Loose Park you can offer a lot of items. I was talking to my niece, she said to me that kids get tired of toys after a while. With a Loose Park, you got a lot more objects to switch to as you get tired. And as you grow from kid to youth, teen, young adult, senior, you'll be able to find items for each age group in a Loose Park. In situations where a piece of special special needs equipment is requested for a park , a Loose Park system allows for purchase of the item when requested. After purchase, have it delivered to the a parkhouse, nearby library, or parks department facility whose staff will place it in a locker. 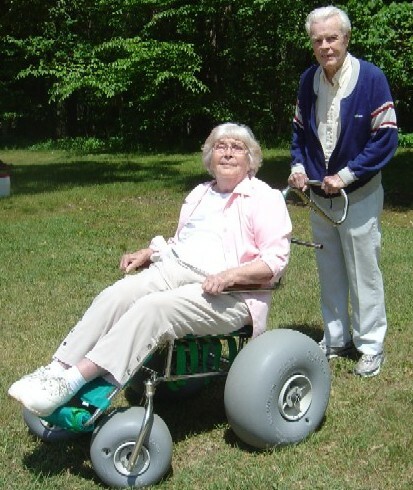 Meridian Township purchased this all-terrain wheel chair with grant assistance from the W.K. Kellogg Foundation’s “Access to Recreation” program along with a contribution from the Okemos Kiwanis Club in 2008. ROXBORO, N.C. (May 17, 2011) – Fishing on Mayo Lake has become more accessible, thanks in part to a cooperative effort between the N.C. Wildlife Resources Commission and Person County Recreation Arts and Parks, who are providing free loaner adaptive fishing gear to physically challenged anglers. The adaptive fishing gear, which can be borrowed from the Mayo Park office, is available free of charge through the Wildlife Commission’s Tackle Loaner Program. Park staff has electric reels, pole harnesses, easy-cast fishing poles and easy-grip gloves available to loan to anglers who have limited hand, arm and upper body movement. The adaptive fishing gear is funded through a 75-25 percent cost-share venture between the Commission and the parks department and is available on a first-come-first-serve basis through the Commission’s Tackle Loaner Program, which loans rods and reels just as a library loans books. Anglers register to receive a tackle loaner ID card that lets them check out a rod and reel for free for the day. While the program is geared toward children under 16, anyone interested in fishing can participate. Inclusive playgrounds do a good job on certain types of inclusion, and don't do a great job on others. Loose Parks also are good with some types of inclusion and are not as good as others. The answer is not one or the other, the answer is communities should create both, and let users decide which they feel is best for their individual circumstances. "Conventional playgrounds are designed by adults - they don't actually take into consideration how the children want to play, how the children actually direct their play." 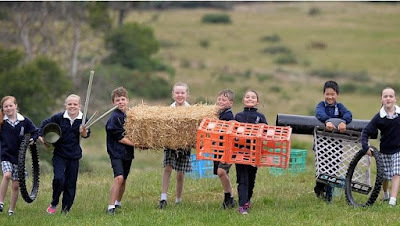 "Schools are putting all this money into designing playgrounds, and requiring all this funding,'' Mr Hyndman said. A recent study of daycare-center playgrounds found that when kids had access to items like balls, hula hoops, and jump ropes, they were more active than when they had only stationary structures to play on... Typical playground equipment does help develop certain motor skills, like climbing," says study coauthor Dianne Ward, a professor of nutrition at the University of North Carolina at Chapel Hill. "But kids play harder and longer when they have more portable playthings around." "The idea for the loose parts has passed muster with the toughest of critics — gangs of children who came on test play dates. All of the gatherings began the same way, Mr. Rockwell said. 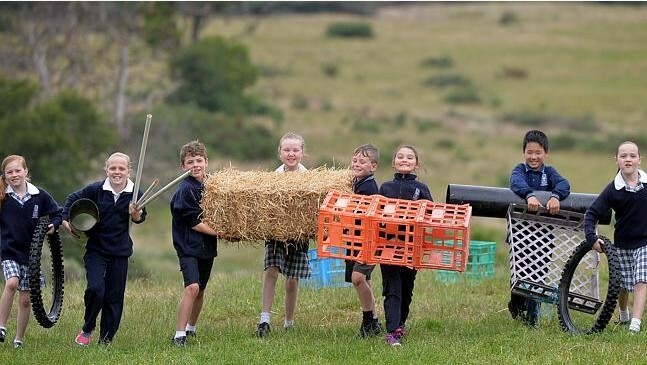 With parents standing out of harm’s way, the children would pick up a few of the parts and start building their own stuff, solitary projects. 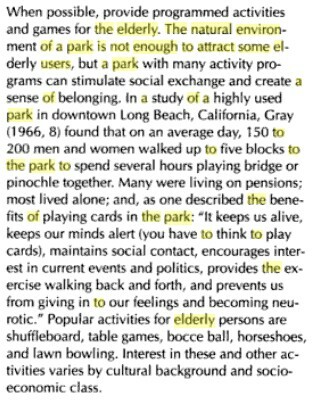 The authors of the book People Places made the statement "The natural environment of a park is not enough to attract some elderly users, but a park with many activities can simulate social exchange and provide a sense of belonging" Put another way, a bench is not enough to attract some seniors to a park. There are many types recreation children need . Fixed equipment only playgrounds often only offer active (and then only some types of active). Library-Parks model playgrounds are far more inclusive. the adult playing with them! Other skills can be developed in play e.g. messy situations in everyday life. disabilities can be assisted to participate. In a Loose Park, rather then an architect making all recreation equipment design decisions and hoping these decisions meet the needs of park goers, , the actual park users will make the design decisions of what equipment they want to use in a park. In designing a Fixed equipment park, design occurs only before construction. If no one asked for an item before it was built, it aint't gonna happen. 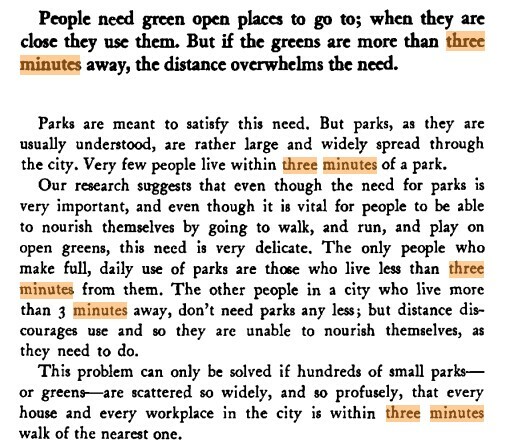 In designing a Loose Park, design occurs continually, At any time a request is made and funds are available that item can be added. Many branch libraries would be hard pressed to store 700 objects like these. .But by having on premise a core of commonly requested equipment, a branch library can meet the most requested "recreation objects" in real time, and act as the delivery location for other requested items. A Loose Park with a Play Library can offer a far greater variety of special needs recreation equipment, then a Fixed Park. Going to Disneyland, is an incredible experience but how often do you get to go to Disneyland? We have only 2 Disneyland'sin the United States so the answer for most people is not very often. It kinda the same with Inclusive playgrounds, these are great, but there are only about 100 of them in the United States, So most people will not be getting to them very often. On a day to day basis what's important is not Disney, it's your neighborhood park.Most of our neighborhood parks offer very few activities for people who are able. And far fewer for people with disabilities. and can often be done only with privetae funding. “The higher cost of "inclusive" playgrounds means many local governments can't afford them.”-NPR. Loose equipment Inclusive parks are far more affordable. Creating Loose Parks with Play Libraries, are a way to create affordable inclusion. 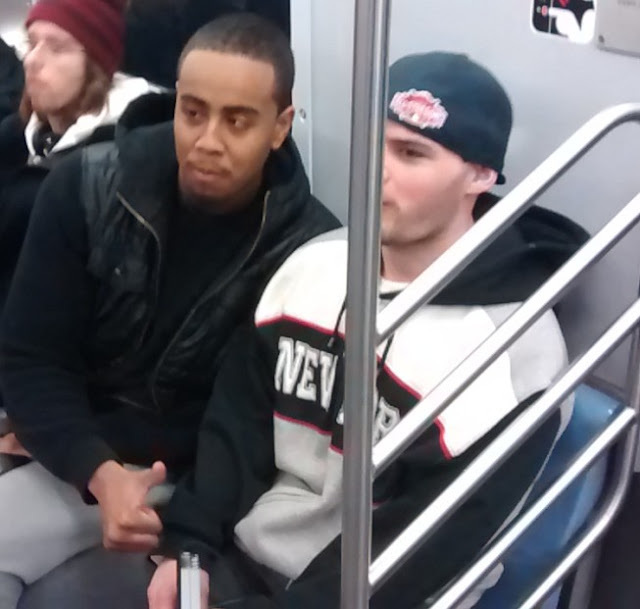 Jaron Black on the left is visually impaired, his friend on the right is blind. I met them at the 23rd street and 8th avenue subway stop.. Our talk let me know they want more active recreation activities for the visually handicapped then are currently offered. 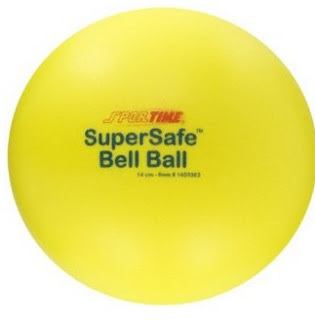 Bell Balls are one item they would like to see offered in parkhouses. People don't generally talk to strangers in public spaces. 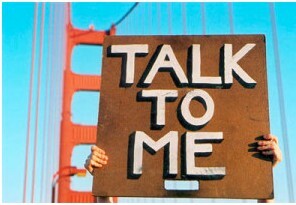 Have one bench or table with a sign " talk to me" and an explanation of the concept. . If you are sitting there, it means you want people to talk to you. . I was talking Nooria at the Andrew Heskill Braille and Talking Book Library (40 W 20th St). I asked her what activities she would like as part of the upgrade.,One of her suggestions was to be "included". by sighted people. I suggested she have a seat where the talk to me sign was. "One hobby my visually impaired friend Charlene and I share is a love for games of practically every sort. We've wiled away many a glorious breezy afternoon at the cabin playing card games like Kaiser, 500, Euchre, and Pinochle using my friend's special pack of brailled cards. To this day I'm still trying to figure out how she cheats using that deck. By offering braille cards, and Scrabble at the Flatiron Playspace, table games area, the area will be inclusive towards the area's s large Visually Impaired community (both Visions for the Blind and the Andrew Heiskell Talking book library are in the neighborhood). So it is possible to build a fixed equipment inclusive play space with features for all ages.